In our book you will discover the joys of creating textile designs using the wonderful (and free!) program GIMP (The GNU Image Manipulation Program) Free? Yes free! Too good to be true? It’s true! And yes that’s good! The inspiration for this book came from college students I met over the years who couldn’t afford to buy expensive software and had urged me to write a book for textile design using the open source program GIMP. Because GIMP was a free program I found that allot of students were using it sort of like a poor mans Photoshop. The more I used and experimented with this program the more I loved it. I soon found that just about every textile design technique that I was using in other programs could also be accomplished in GIMP. Still, I held off writing this book until I felt it was stable enough and had a sufficient amount of features needed to be a fully functioning textile design tool. Starting with version 2.4 I finally felt that GIMP was finally mature enough to make it a viable program. The book GIMP for Textile Design is a collection of lessons that will take you from simple textile design techniques to the more advanced design techniques needed to take on the most challenging textile design projects. Everything is explained in a simple uniform manner so that nothing is overwhelming to the textile designer just starting out and so that the more experienced textile designer can grasp key concepts more quickly. 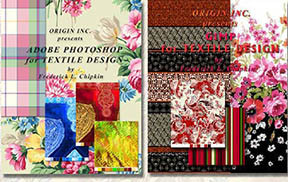 GIMP for Textile Design is self published by Origin inc. It's 112 pages of tutorials and is spiral bound for ease of use. The CD that comes with the book contains practice images that correspond to the lessons in the book. These images include weaves, textile images to color reduce, bodies & objects to photo drape textiles on and 36 pages of color charts so that you can match colors accurately. This book was written for Gimp 2.4.6. Even though we tested all the techniques in the book on a Windows computer, GIMP is a cross platform program so there should be very little difference whether you are working in a PC, MAC or LINUX operating system. We even have a section on Photo Draping ! Also on the CD we've included color charts so you can match colors accurately. Why? Because Textile Design is all about color! 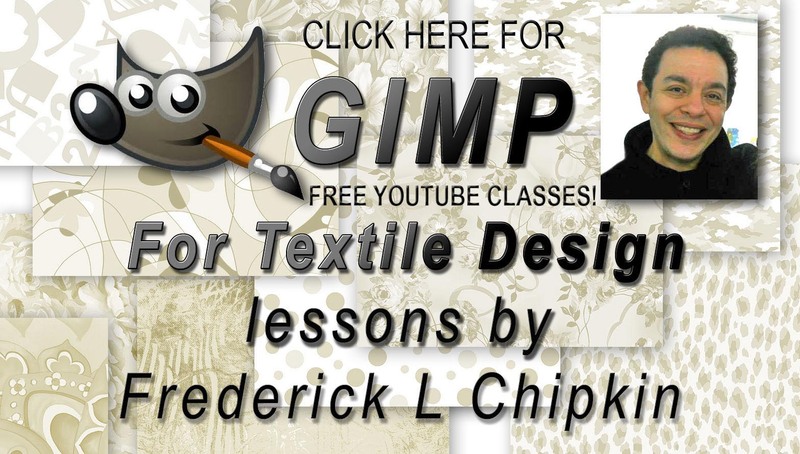 Did you know that I have free GIMP for Textile design classes on YouTube? Free Software=Free Classes. Makes perfect sense! You can use your own images and color charts or you can purchase the same images and color charts that I use for my online classes right here. 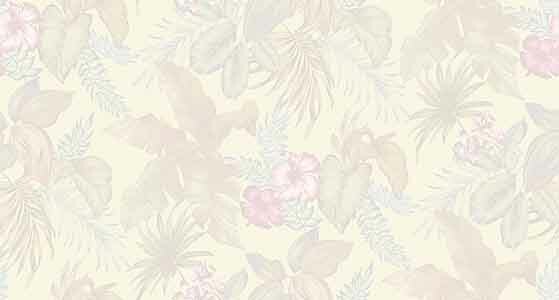 ¬ Click here to order practice images for my YouTube classes on "GIMP for Textile design"
After we process your payment we will send you a link to the practice images and color charts. Note: You will have to sign up for a free Mediafire account in order to access the practice images. Take note that these images are the exact same images and color charts that come with my book "GIMP for Textile Design"
These files can only be accessed online through Mediafire. No hard copy or CD will be mailed to you. Once I activate your link you will have 10 days to download the practice images. If there are any problems you can always e-mail me at design@origininc.com. I am a real person here & want you 100% happy & taken care of. ¬ Click here to order the book GIMP for Textile design (Academic price) - After placing your order please scan in then e-mail us proof of your student status: either a Student schedule, student ID or paper from your school stating that you are a student. Please e-mail the information to Design@origininc.com . Include your order # in the subject line along with the words Academic price. 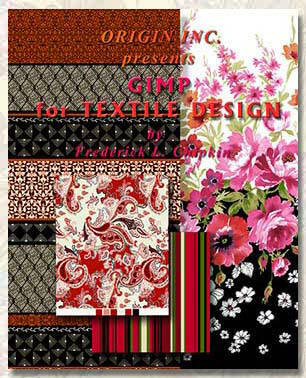 GIMP on the Cheap is an PDF version of the book GIMP for Textile design . After we process your payment we will send you a PDF version of GIMP for Textile Design, along with all the practice images and color charts that are on the CD. This is an electronic version of the book no hard copy or CD will be mailed to you. The files will come to you zipped & you will have to unzip them. They can only be unzipped on a Windows PC. We use a service called yousendit.com to send you the zipped file, however the size of the zipped file is 89 mg. You must have high speed internet to be able to download the book. Each book is encoded with an individual electronic ID # unique to your book and is copywrite protected. This is an electronic version of the book only . 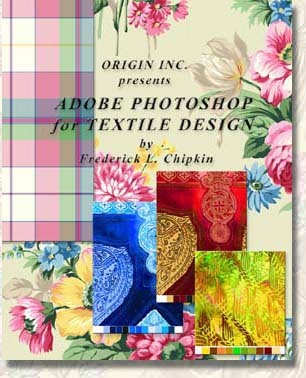 You can also purchase "GIMP for Textile Design" by check. The instructions are at the bottom of the page. Everybody enjoys a free sample! "Advanced, Easy to use, Stable and Powerful"
That's why when it comes to design work "Adobe Photoshop" is the industry standard. The book "Adobe Photoshop for Textile Design" was designed so you can learn at your own pace and refer back to the lessons easily. 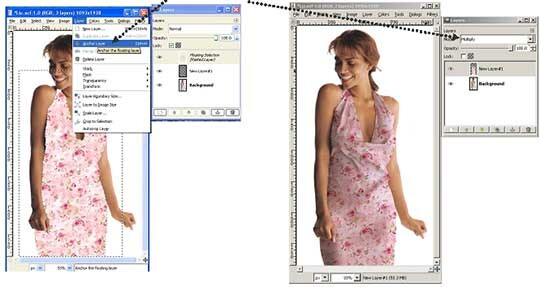 Photoshop for textile design was created by an experienced artist for artists and every effort was made to simplify complex tasks so that they are not overwhelming and are easy to absorb.